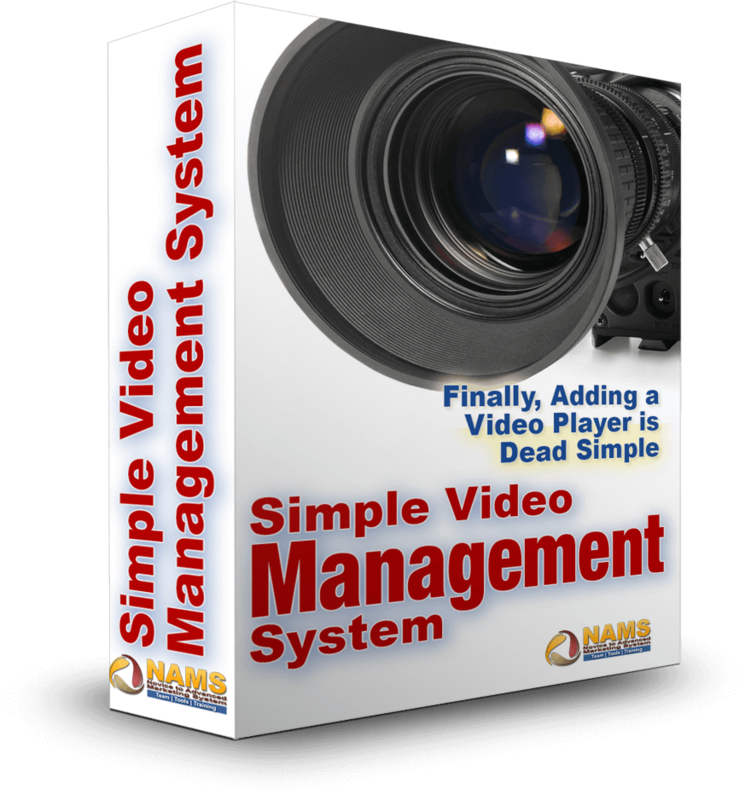 Get Instant Access To Simple Video Management System 2018! Video JUST. DOESN'T. WORK. RIGHT. 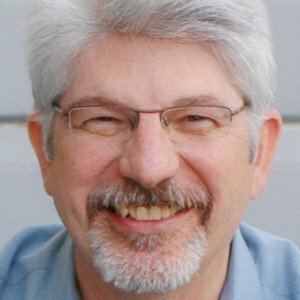 Hi, I'm David Perdew, and I'm a video junkie. I have literally thousands of videos working for me in my online business. I have them managed in one place (even though they're hosted in many places), and they're producing opt-ins and sales for me. But it hasn't always been easy... Do any of these sound familiar? Your video looks AWESOME on your monitor... but slides halfway off the screen on your phone. You need to use 3 different videos on a single page... but one video is on YouTube, one video is self-hosted, and the third is on Vimeo... and all 3 players look -- and work -- different. You finally get a good video player plugin on your WordPress site... but then you need to move it to ClickFunnels or HTML. You need one specific video from the 100s (or 1000s) you have everywhere... and waste an hour searching. You want people to see part of your video for free and opt-in to see the rest... but the solution is a tech headache. Your autoplay videos that used to produce opt-ins and/or sales for you... are now neutered by Chrome's autoplay death ban. You're just plain sick and tired of monkeying around with confusing embed codes, cobbled together multi-plugin solutions that aren't portable from site to site, and unreliable spaghetti piles of custom tech code. It's Enough To Give You A Migraine And Indigestion At The Same Time. I knew I MUST use video (just like you MUST), but the frustrations and hassles finally got the better of me. I tried pretty much every solution out there... but each one either lacked features, was inconsistent... or just plain didn't work. As the story so often goes... I decided to create a solution. ...Can Now Power Yours, As Well. Getting your videos to play consistently across all browsers and all devices. Effortlessly managing all your videos from one area, no matter where they're hosted. Getting your videos to truly produce... and knowing which ones are doing the best. So What Is Simple Video Management System? That's It. It's Easy And Intuitive. You install SVMS to a WordPress website you choose, but the video code can go on any website. You can use shortcodes to quickly post the videos to your WordPress sites, or you can store videos specific to your various websites under one install. This plugin has everything you need to make videos work for you and your business! If the site isn't a WordPress site, no problem! Use either the raw html code or the iframe code. It's as simple as that. "Perfect In Shopify... I'm Impressed"
"10 Times Better Than What We Were Using"
I’ve been using the Simple Video Management System and I’m excited that our support tickets about video have gone down. It took my VA less that five minutes to install and configure (easy!) and we’re trying to push it’s limits as it has a ton more functions that I’m currently using! This plugin is already 10 times better than the old one we were using - one of the most popular video players on the market. "It's Simple, Fast, And It Works"
My Team And I Designed Simple Video Management System To Focus On Functionality, While Maintaining Simplicity. Works In All Browsers, All The Time. Look at my example to the right! How would you like your video to display on mobile devices? The clean one on the right is after I implemented the Simple Video Management System plugin to host my videos! Your videos are guaranteed to work on WordPress, HTML, and platforms like ClickFunnels, OptimizePress, LeadPages, and more! YouTube is king. All you need to do is load a YouTube URL (no embed code needed) in the player and it works smoothly. And because we’ve mastered the YouTube experience in our system, you have a free host without the Youtube branding distractions. But that's not all. Do you host your videos on Vimeo? 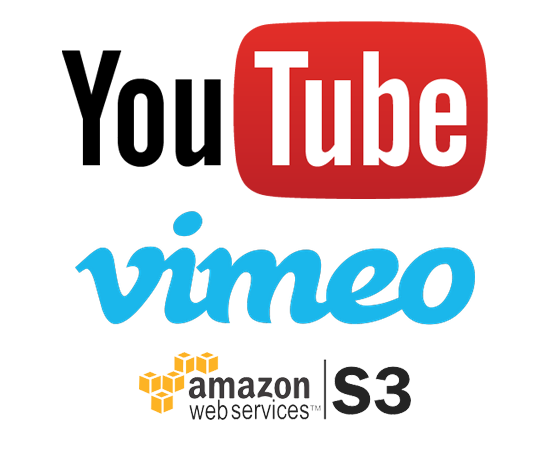 Amazon S3 (or any cloud storage, in fact)? Maybe on your own server? It doesn't matter where you host your videos, Simple Video Management System 2018's responsive video play will work, smoothly and easily. With the high-priced video plug-ins, we mentioned earlier, it was nearly impossible to find videos once they were loaded in the system. It was a must for me and my team that my videos were organized, searchable, and in a table for easy access. The Simple Video Management System database will be the single biggest time saver for online video you've ever encountered. Video Size: From the backend of the plugin you can adjust the video size to any size you want. This allows for greater flexibility on where you have videos displayed on your website. Video Alignment: Aligning videos to the center, left or right on the page can be really frustrating if you don’t know HTML or CSS. You simply select the alignment in a dropdown box, and your video will align exactly how you want it on your final page! Auto Play: With video sales letters, auto play is a key function. This tool allows you to simply toggle that off and on without having to insert complicated coding. It is point and click simple so you can focus on other aspects of running your business. The Chrome browser killing off auto play video has taken away a major method of grabbing attention. And more browsers will be following. Simple Video Management System 2018 helps you slap back at Chrome by adding any attention-getting animated GIF to your video, like the one you see here that our partner made. You can put this (or animated text, or a still image) at the front AND the back of your video, perfect for calls-to-action. Reveal "Magic" Buy Buttons, Opt-In Forms, Or Any HTML, At Any Point In The Video! In a recent blog post, Ryan Deiss said that making the buy button appear magically on the site at the right time increased conversions by 67 percent. With Simple Video Management System, you can quickly and easily add HTML code for buy now buttons, optin forms, affiliate banners, and more. You choose when you want them to display and appear automatically below your video. That stats are in that this feature helps! If I asked you which of your videos are "winners" and which are "losers," could you tell me? Do you know when people STOP watching your video? Because your videos are NOT getting watched 100% of the way through by 100% of your viewers. Knowing exactly WHEN they stop watching can help you pinpoint what needs to change in your videos, to lower their dropoff rates and improve their results. Simple Video Management System 2018 can show you that for every single one of your videos, and so much more. You'll know exactly where your traffic is coming from. You'll know what devices they're watching on. You'll be able to see when your traffic spikes up... and when it drops down. All vital information for growing, testing, and expanding your business. Suppose you want your viewer to get a preview of an important video, and they have to opt-in to your list to view the full video. You used to have to split your video in two chunks, set up an opt-in page, show them the preview video, and hope they'd opt in. Now, you can have the opt-in as PART of your video! Just set the time and opt-in details... and you're done in seconds. Over 15 top AutoResponders and Customer Relationship Management platforms (Aweber, GetResponse, MailChimp, Sendlane, ActiveCampaign, InfusionSoft, many more) are directly integrated into SVMS. That means you can turn tagging on and organize your opt-ins based on the video(s) they view. This is super beneficial for targeting promotions to specific niches for higher conversion rates... which equals more money for you. Do you know how powerful this is? Suppose you promote affiliate products. Imagine creating a good affiliate review video or prelaunch video. When the video ends, you automatically redirect them to your affiliate link. You can create affiliate "bridge" pages for linking to from social media in seconds this way! Any links work here. These can be affiliate links your own links or send them to another video. You can do all kinds of cool marketing sequences to stand out from the crowd. Don’t underestimate the power of this feature! If you’re using WordPress, you may have the same video on multiple pages. Knowing which pages will be affected by a video change is essential. So we designed Simple Video Management System 2018 to show you every single page or post where your video is being used. This may seem small, but it’s important. Your current video code must always point to working videos and adapt to editing changes on the fly. I remember breaking many of my sales pages in the past because I made a tweak to the editor. Talk about hours of frustration and lost productivity! Say goodbye to this problem! Make a change, and have the peace of mind that your pages will still work! Easily create pro-quality pages with video grids and videos appearing in popup lightboxes, right from within SVMS 2018... No coding necessary! Give your videos a unique "look and feel" with custom skins and frames. More skins and frames coming all the time! "I Jumped On This Right Away Because... Somebody FINALLY Got It Right!" I’ve been sick and tired of dealing with video player issues for a long time. It costs me a ton of money in customer support costs and worse… sales opportunities lost forever. I’ve been looking for a rock solid easy -to-use, don’t-bury-me-with-technical-details video player plugin… and I found it! There are lots of cool features that will help you convert viewers into buyers (fast). If you are paying a monthly fee for a very basic video player service like I was… the one time price is a no-brainer. I’m delighted with Simple Video Management System and I can’t recommend it highly enough. "For Once, I Swear By (Not At) A Video Player"
It has not taken long for Simple Video Management System to become one of my go-to plugins. In fact, it has replaced all the other video players I use. It’s that good! Of course, SVMS lets you choose the visibility, and lets you easily set up and play multiple videos on any WP page from most any source. The real power comes from the shortcode setup. This allows the plugin to show me every page the video is displayed on. This is a huge time saver. I know which pages are affect by a change. If I edit a video, I make one change and ALL the pages with that video are updated. Thanks to David and NAMS, for once, I swear by (not at) a video player. Learn the ins and outs of hosting your video on the most reliable, inexpensive, and secure cloud hosting service. A $147 Value, included at no extra charge. Exclusive Training: Create animated faces from still photos with this awesome app! A $47 Value, included at no extra charge. Exclusive Training: Create full size magic animated environments from still photos with this app! Exclusive Training: Magically turn your words into beautiful photo text designs in seconds! Discover how the experts make their YouTube videos POP in this easy-to-follow training! A $27 Value, included at no extra charge. Use these to grab viewer attention and combat the Chrome browser Auto Play smackdown! A $97 Value, included at no extra charge. Your marketing pages demand quality. Use these high definition photos wherever you want! Get viewer eyeballs to pay attention to what YOU want them to see with these! These transparent background images are a must-have in your graphics toolkit! Use these videos for marketing, starter points or portions of your own videos, whatever you want! You can never have enough images... Use these without any fear of copyright infringement! But They're Yours FREE For A Limited Time! No Other Video Player Or Video Manager Does What Simple Video Management System 2018 Can Do, At Anywhere CLOSE To The Price. Why Pay High Prices Like That, When You Can Get Simple Video Management System 2018 Today For A Low ANNUAL Price? We will shoulder ALL the risk here. 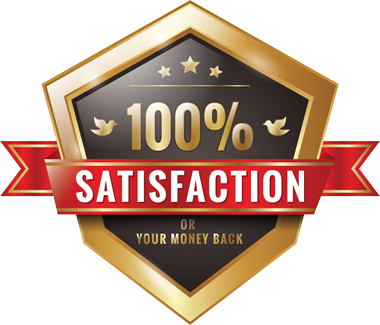 If... after checking out the Simple Video Management System Plugin and bonuses for 30 days... you are unhappy with it -- for ANY reason at all -- then WE INSIST you return it. That's a 30 Day 100% Money-Back Guarantee... No Questions Asked. Take action now, and stop paying high video software subscription prices. Stop fighting with hard to understand tech that doesn't always work. And start getting real results from your videos, just like I do!